A Spooky Space Ghost for Halloween! Looking like something out of a Tim Burton movie, the eerie shapes seen above are part of a cloud of gas and dust located 1,200 light-years away in the constellation Cepheus. 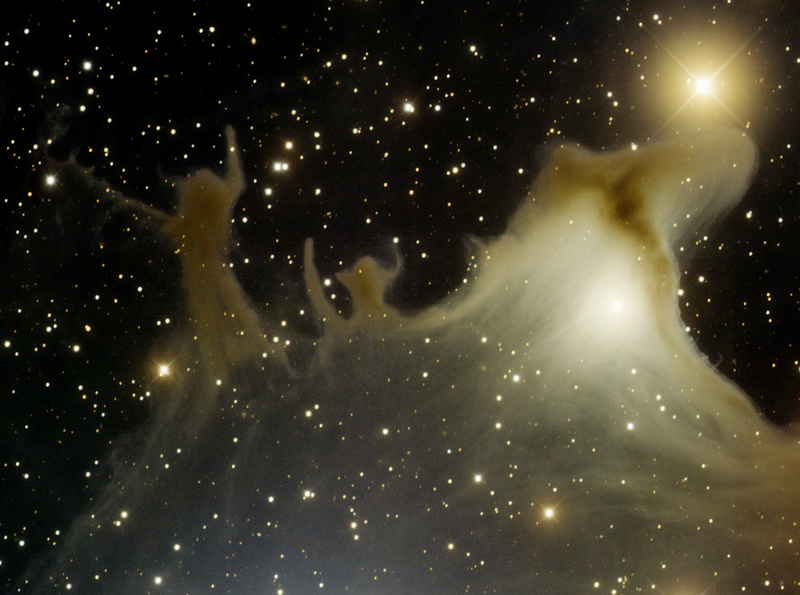 First identified in 1966, the human-like figures with “arms” raised give the nebula its spooky nickname: the “Ghost Nebula”. The nearby stars around the nebula give it its light and color. 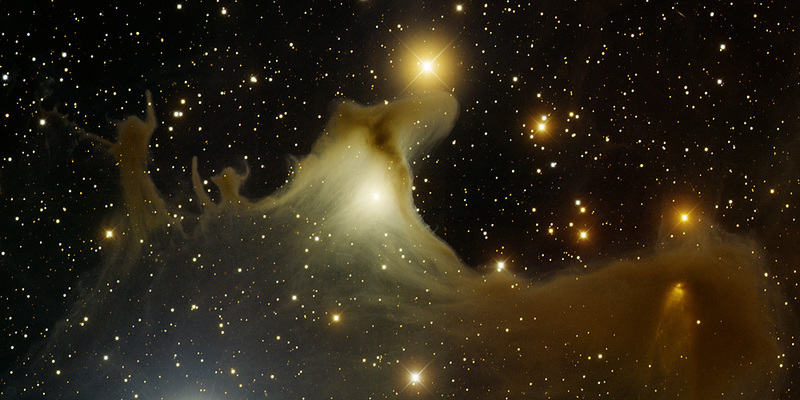 Like fog around a street lamp, a reflection nebula shines only because the light from these embedded stars illuminate its dust; the Ghost Nebula does not emit any visible light of its own. Abosolutly amazing Jason. Plus I love the Tim Burton mentioning.